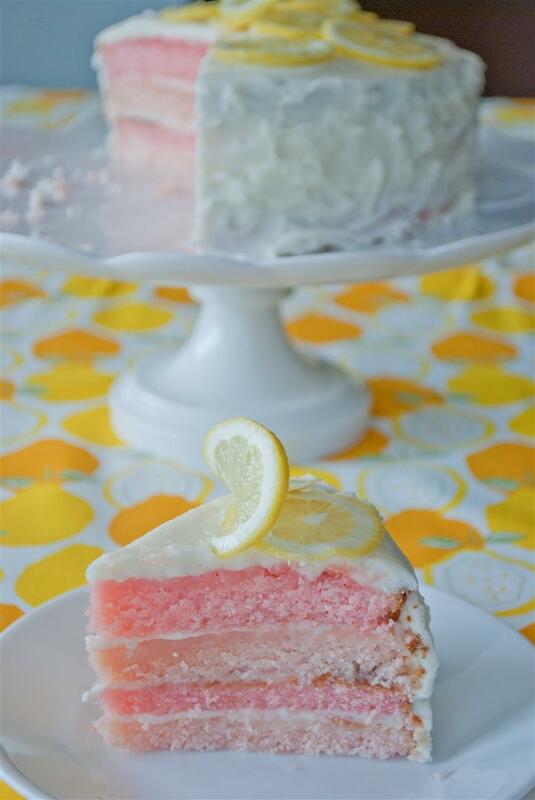 On the cover of Better Homes and Gardens May 2012 issue was a Pink Lemonade Cake. The minute I saw it, I knew I wanted to make it. 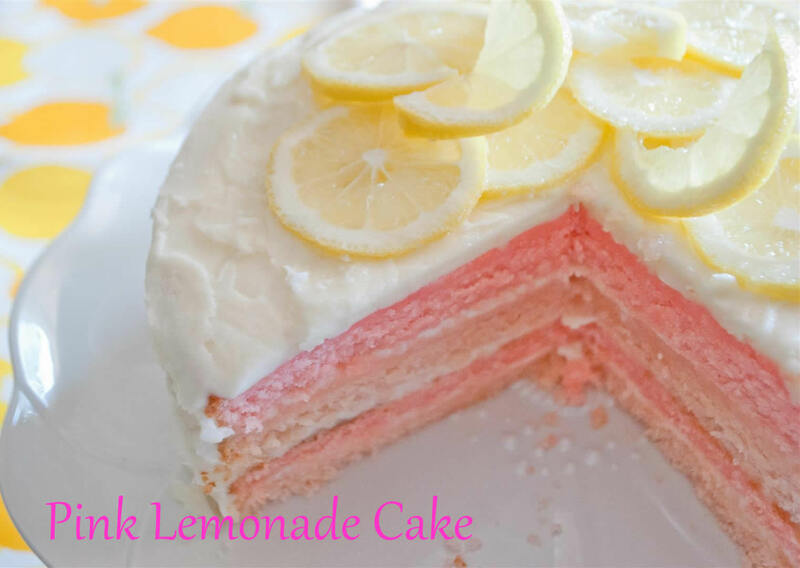 I've made layers of different colors before, but never shades of pink nor have I ever had a pink lemonade cake before so I was oober excited to taste it. It turned out beautifully! Allow butter and eggs to stand until room temp. Grease 2 9x2 in. round pans. Line bottom of pans with parchment paper. In a medium bowl mix flour, baking powder, and salt, and set aside. In a large bowl beat butter, add sugar, 1/8 tsp of food coloring, 1 egg at a time, beating well. In another bowl, stir together milk, lemonade concentrate, and extract- it will curdle, but that's okay. Bake about 35 minutes until toothpick is clean when inserted. 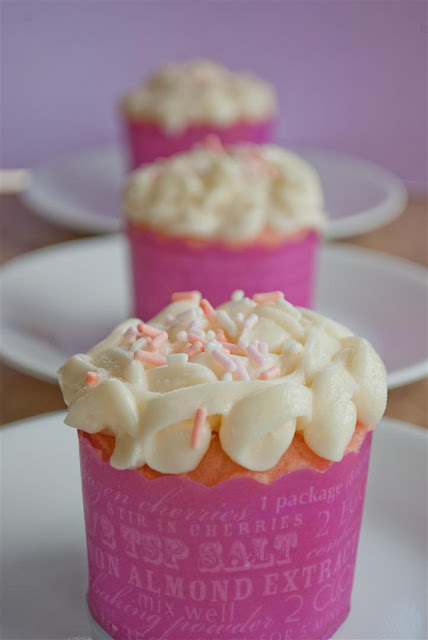 In the meanwhile, you can start making the frosting. Since using 6 sticks of butter was a little too rich for me, I used my almond buttercream frosting recipe instead which was still delish. 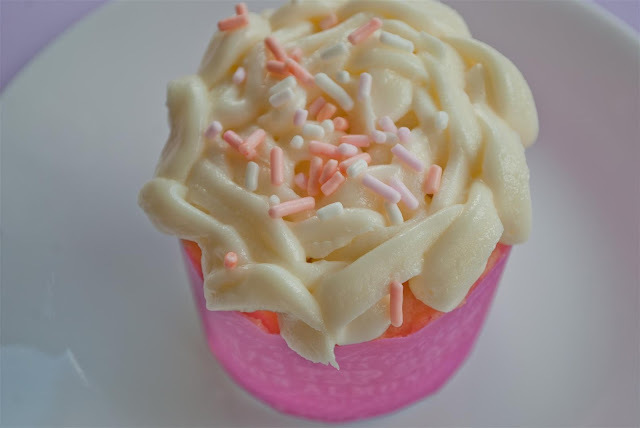 However, in hindsight, I think that making the pink lemonade buttercream would have been a better choice to really bring out the lemony flavor. In a large bowl, beat butter about 30 seconds Add marshmallow and frozen concentrate. Beat until smooth. Add sugar, beat until light and fluffy. Frost cake after it has cooled and the frosting is at room temp. 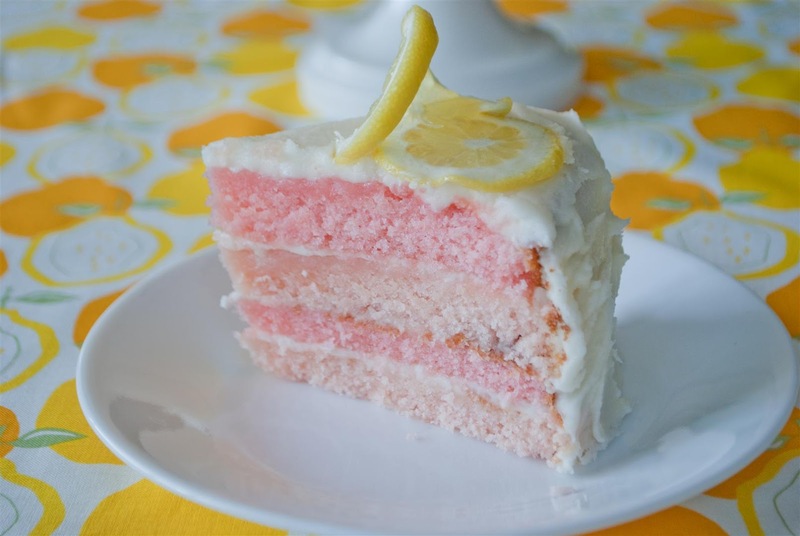 To make the different layers, slice the cakes in half with a serrated knife, sawing gently back and forth. Alternate the colors. I sugared lemon slices as decor right on top. The cake was super moist and I thought it was so tasty. I will definitely make it again. 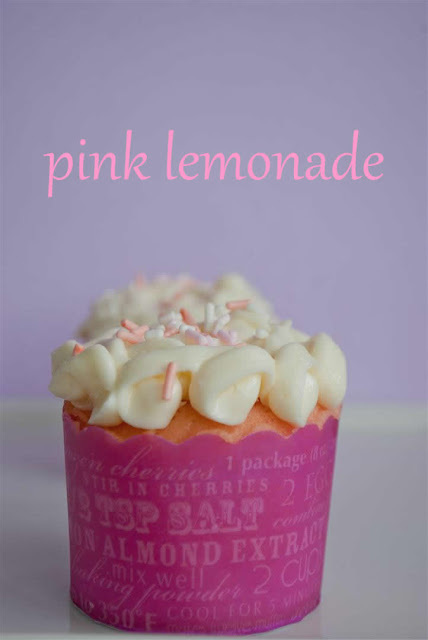 Along with the cake, my sister and I went ahead and made some pink lemonade cupcakes. I'm not very good frosting cupcakes, but I'm happy with the way it turned out this time. 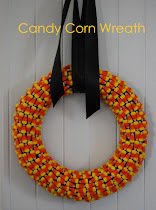 Who's ready to make a batch?